Résidence Marina Di Santa Giulia price per day from € 66 . 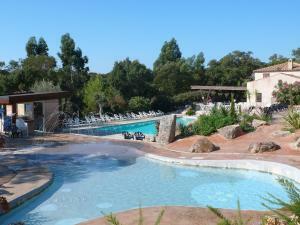 Cala di Sogno price per day from € 110 . Résidence Hôtelière En Aparté price per day from € 179 . Appartements Santa Giulia price per day from € 70 Situated 700 metres from the beach, in front of the Santa Giulia Bay, these air-conditioned apartments feature an outdoor swimming pool, free private parking and a furnished terrace. Provided with BBQ facilities, each apartment includes a fully equipped kitchen with coffee machine, oven and toaster. Fiori Di Santa Giulia price per day from € 43 . Grand Hôtel De Cala Rossa price per day from € 380 . Maranatha price per day from € 145 . Chambres d'Hôtes Barraconu price per day from € 85 This property is 7 km from the centre of Porto-Vecchio and 10 km from Palombaggia beach. The owner can show you how to make essential oils and there is a swimming pool. A continental breakfast is offered every morning at Barraconu. Chambres d'Hôtes Bianca Casa price per day from € 127 Located just a 5-minute drive from the centre of Porto-Vecchio, Chambres d'Hôtes Bianca Casa offers B&B accommodation set within a 3-hectare property. All of the rooms at Chambres d'Hôtes Bianca Casa are elegantly decorated and feature a flat-screen TV with cable channels and air conditioning. Palombaggia Beach, Porto-Vecchio, 4.8 km from the centre of town of Porto-vecchio. Santa Giulia Beach, 7.2 km from the centre of town of Porto-vecchio. Beach Petit Sperone, Bonifacio, 20.2 km from the centre of town of Porto-vecchio. Cave Bonifacio, 23.5 km from the centre of town of Porto-vecchio. Island Lavezzi, Bonifacio, 24.3 km from the centre of town of Porto-vecchio. 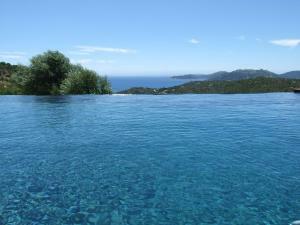 Golf club Sperone, 24.8 km from the centre of town of Porto-vecchio. Roccapina Beach, Corsica, 29.3 km from the centre of town of Porto-vecchio.